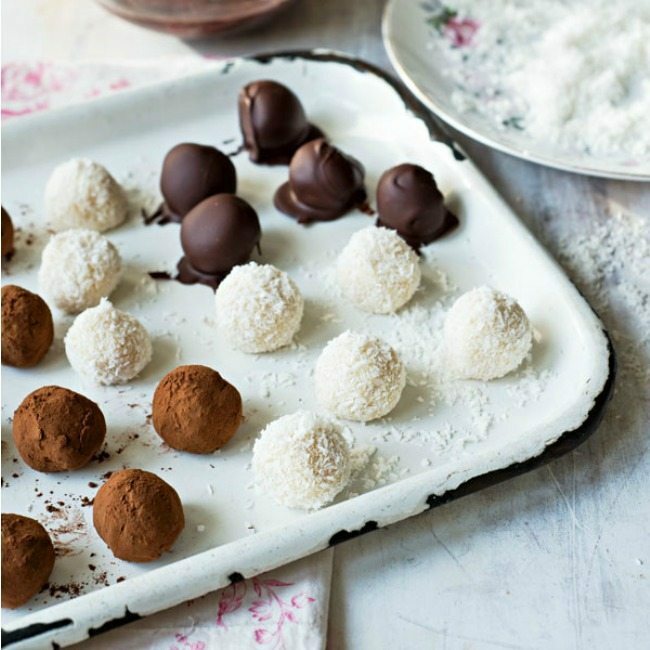 If you haven’t made Chocolate truffles yet now is the time. We have a simple recipe on how to make them, with three different coatings for different tastes. Fill half of a pan with water and bring it to the boil, and then lower the heat to a gentle simmer. Put the cream, sugar and butter into a bowl, then put it over the water (the bowl must not touch the water). Heat the bowl until sugar and butter have both melted. While stirring, add the pieces of chocolate to mix together and chocolate has melted. Add the flavouring, if you want to, eg alcohol, vanilla extract or finely grated orange zest. Wait until cooled, then cover the mixture and chill in the fridge for 4 hours. After cooling the mixture should resemble a hard chocolate mousse. Two ways to shape the truffles. First, by rolling the mixture into balls with your hands or second, by using a melon baller. The last step. Put your coating of choice into a shallow bowl and roll each truffle in it. Enjoy them after dinner or give them as a gift! 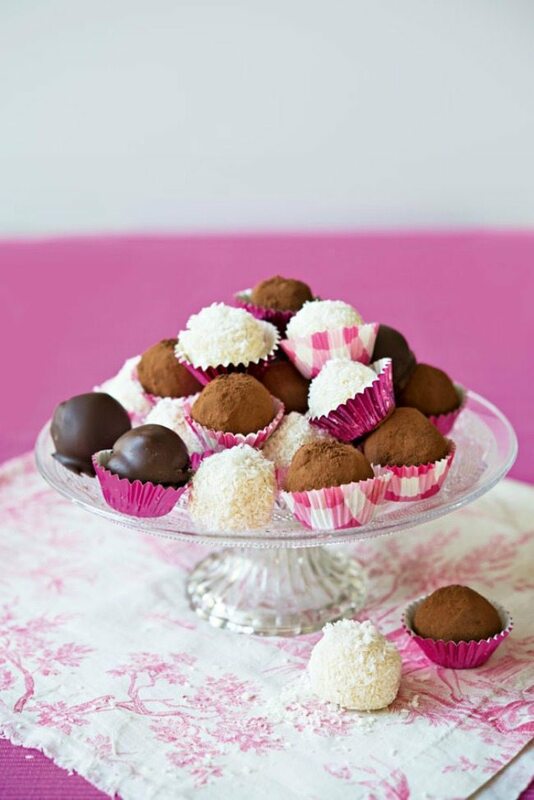 To coat the dark chocolate truffles: you must chill them in the fringe for at least 1h before you put them in the melted chocolate. To melt the dark chocolate, break it into pieces and sit in a bowl over simmering water until melted. Put a truffle on a fork and dip in, tap the fork on the edge of the bowl to let excess drip off, then rest on greaseproof paper until set. This recipe for delicious desert ideas was provided by The Co-operative Food. Do check them out on Facebook, Pinterest and Twitter too, they have some great resources for you, as well as more lovely recipes.